Enotel Hotel is located at 5, Celestial Church Road, Off Ezenei Avenue, Asaba, Delta State, Nigeria. It is a boutique hotel situated in a serene and tranquil environment that offers its guests affordable luxury, efficient service and modern amenities. 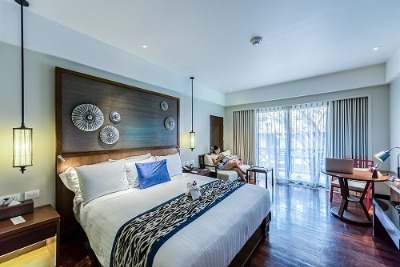 Enotel Hotel has uniquely furnished rooms which are of various categories. These categories are: Single Room, Standard Room, Big Single Room, Double Room, Executive Double and Deluxe. These rooms are spacious and are equipped with modern amenities such as air-conditioning units, cozy bed, cable enabled TV, a wall mirror, a telephone and an en-suite bathroom with toiletries. Certain facilities have been put in place to ensure that guests' stay is memorable and stress free. These facilities include: free Wi-Fi, 24-hour electricity, an adequate parking lot, a restaurant where guests can order from a wide range of local and continental dishes and a bar that is well-stocked with alcoholic and non-alcoholic drinks. At Enotel Hotel, security is top notch with security personnel guarding the premises round-the-clock. Enotel Hotel renders additional services to it guests upon requests. There services are: a 24-hour room service, laundry/dry cleaning services and car hire services. Children: All children are allowed (Max. Age: 12). Q: Does Enotel Hotel offer free Wi-Fi? Q: Does Enotel Hotel have a swimming pool? Q: Does Enotel Hotel offer complimentary breakfast? A: No. Guests are not entitled to complimentary breakfast. Q: Is there a fitness centre/gym at Enotel Hotel? What type of equipment are available? Q: Does Enotel Hotel have a restaurant? A: A restaurant is available at Enotel Hotel. Enotel Hotel is an affordable hotel in Asaba, Delta. I love their food. I enjoyed good indigenous food during my stay. Have nice pictures of Enotel Hotel?